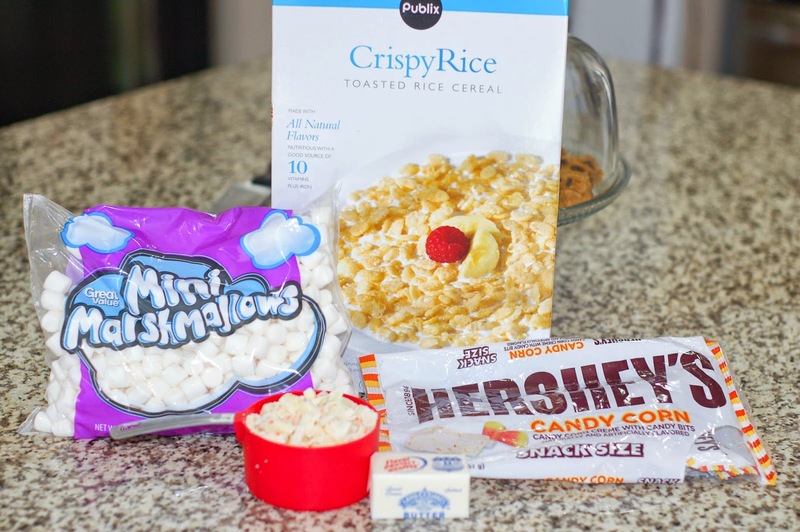 Rice Krispie Treats are so easy to make and you can add pretty much anything you want to them to change up the flavors. They are one of my favorite go-to treats to make for parties. I made these for our neighborhood Halloween party last weekend. 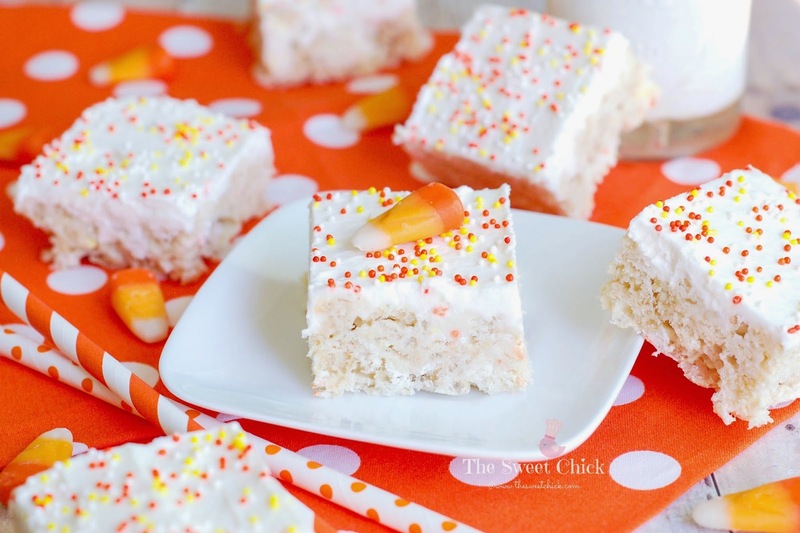 I topped them off with a super easy marshmallow fluff frosting and some cute candy corn colored sprinkles I found in the Target $1 bins. You can also add some candy corn or Candy Corn M&M's to the top for decoration. Now I need to make some more for our Halloween night festivities with our neighbors and friends. Thank goodness I bought two bags of the Hershey's Candy Corn creme bars. Remove from heat and add the cereal and the chopped candy. Mix until all is well incorporated. 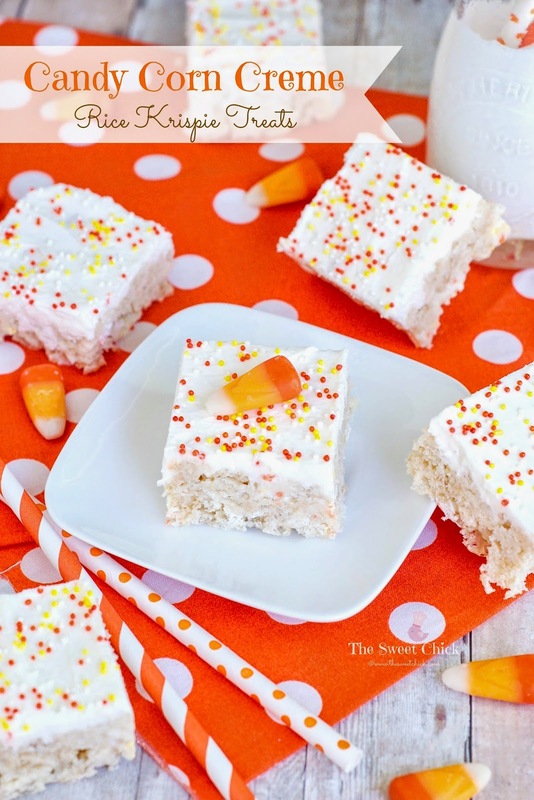 Once the frosting is set, cut the treats into squares and serve. 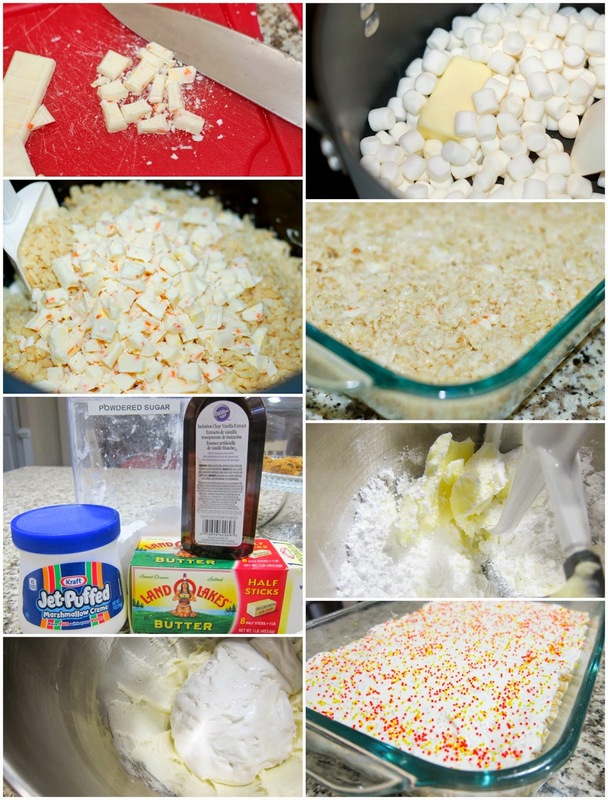 If you want to add sprinkles, candy corn, or M&Ms, do so before you place the frosted treats back in the fridge. I used Wilton's clear vanilla extract to keep the frosting as white as possible, but this is not necessary. 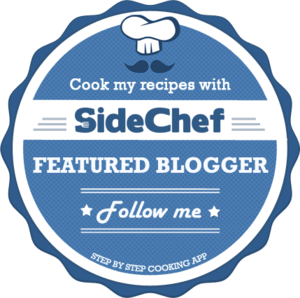 These treats do not need to stay refrigerated, but I keep mine in the fridge if I am making them ahead of time.